Home / QuiBidder of the Week – Wendi M.
QuiBidder of the Week – Wendi M.
Please join us in congratulating our newest QuiBidder of the Week, Wendi M.! Keep reading to learn more about her recent experiences on QuiBids. Be sure to congratulate her in the comments below! Do you want your Facebook posts featured on our blog as the next QuiBidder of the Week? Simply post photos/videos of you with your wins on our Facebook page. Keep posting more wins as you get them for better chances. If your posts are chosen to be featured here on the blog, you’ll be named QoW and will receive 90 free bids! 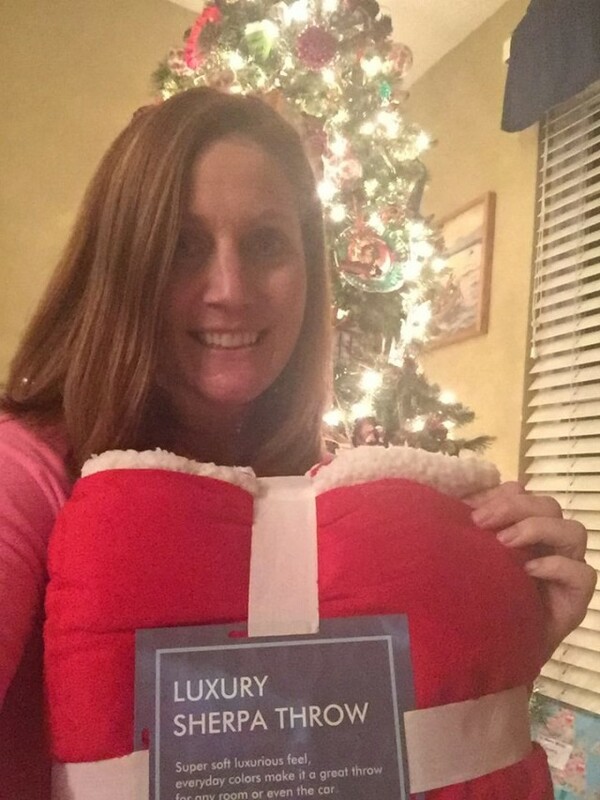 “Cozy holiday blanket & 1 bid win on Quibids! 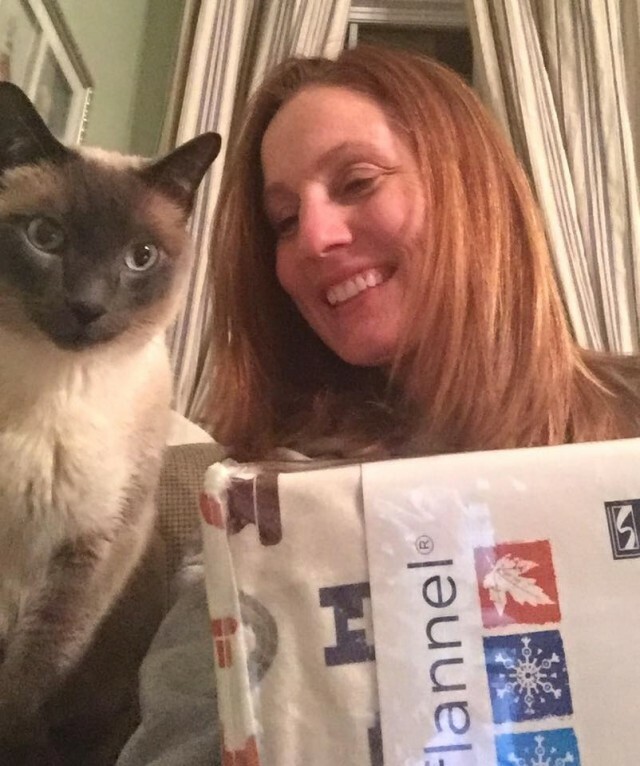 $29.99 value, 1 bid plus .14 cents final price!” – Wendi M.
“Our siamese kitty Timmy loves this Quibids light up snow globe lantern!” – Wendi M.
“Our Siamese kitty Timmy is pretty excited about these flannel sheets I won on Quibids for a savings of 56 percent. Value price $80.99 and my cost 57 bids/$34. 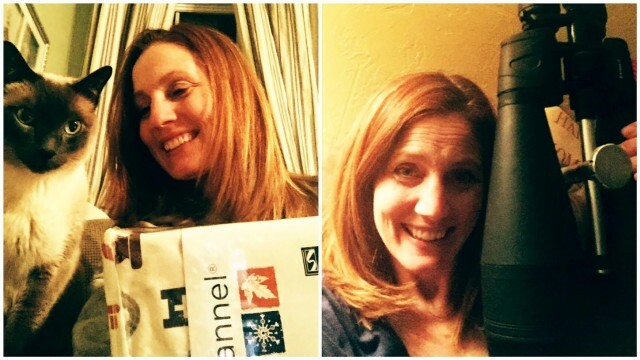 It’s been cold in Colorado!” – Wendi M.
“Thanks Quibids! I won this American Atelier Willow 3 section serving set for 48 cents auction price and 11 bids. Retail price was $69.99 for a savings of 90% or $62.91. 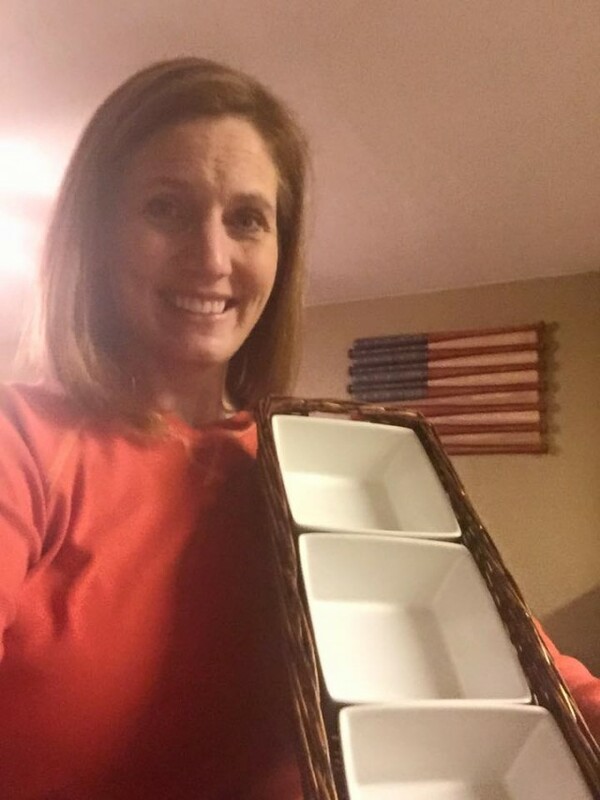 I will be using this when I provide refreshments and sponsor classes in my industry.” – Wendi M.
“Our house is a house divided here in Denver. My husband is an avid Chiefs fan. One son and I are avid Broncos fans-and one son, the politician, roots for both-but leans toward the Broncos. 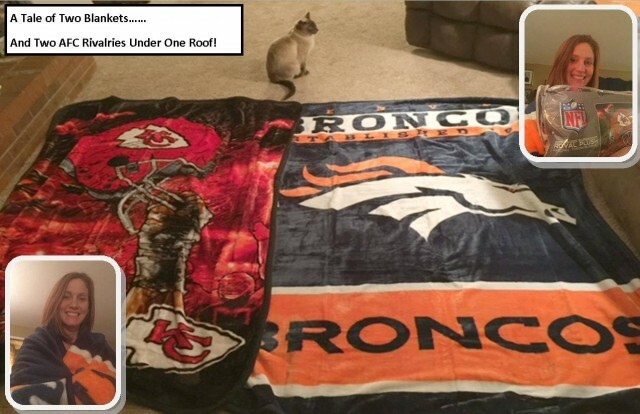 Although everything in our house is Broncos-I won this great Officially Licensed NFL Chiefs blanket to match the one we already got from Quibids just for my hubby because playoffs are now and this is a BIG BIG weekend! I won it for $1.23 auction price, 17 bids ($10.20), retail price is $56.99 and I saved $45.56 or 80%! Thanks Quibids for letting us all have the coziest blankets ever to feed our rivalry. GO BRONCOS!!!!! 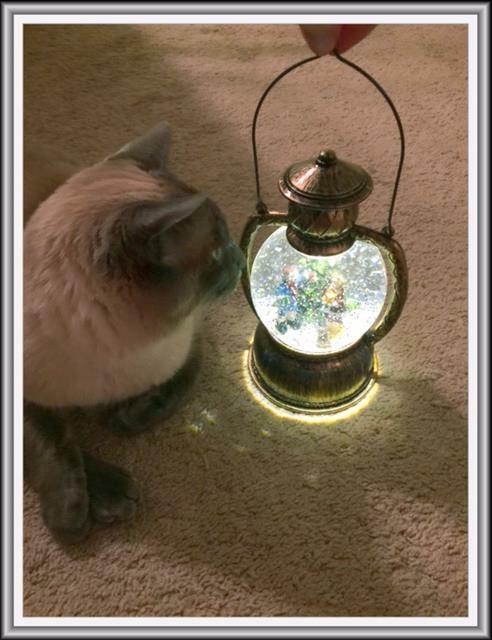 !” – Wendi M.
“Ok, if you’ve been a bidder for a while like me-there is PROBABLY something you won that you go…what the heck was I thinking? Well, this is my “what the heck was I thinking” win. 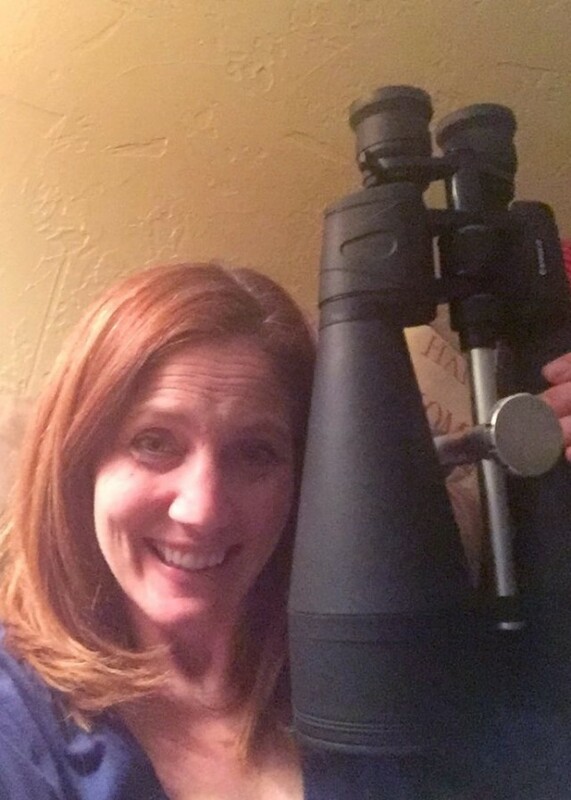 I won these Barsca 125×80 Zoom Gladiator binoculars for 80% savings back in Dec. of 2013 and my family has never stopped teasing me. I’m not sure WHAT I thought I was going to look at with these. Haha! Anyone else win something that you’re like…OMG what was I thinking?” – Wendi M.
QuiBidder of the Week – Jodi G.
QuiBidder of the Week – Shanon G.
QuiBidder of the Week – Ashley E.
QuiBidder of the Week – Dean C.
QuiBidder of the Week – Cathy L.